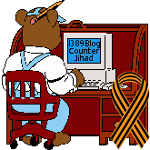 Thomas Jefferson and Islam — 1389 Blog - Counterjihad! Here is a little history for you. Including how the term ‘Leatherneck’ came to be. These extortionists of the high seas represented the Islamic nations of Tripoli, Tunis, Morocco, and Algiers – collectively referred to as the Barbary Coast – and presented a dangerous and unprovoked threat to the new American Republic. Beginning in 1784, seventeen years before he would become president, Thomas Jefferson became America ‘s Minister to France. That same year, the U.S. Congress sought to appease its Muslim adversaries by following in the footsteps of European nations who paid bribes to the Barbary States, rather than engaging them in war. In July of 1785, Algerian pirates captured American ships, and the Bey of Algiers demanded an unheard-of ransom of $60,000. It was a plain and simple case of extortion, and Thomas Jefferson was vehemently opposed to any further payments. Instead, he proposed to Congress the formation of a coalition of allied nations who together could force the Islamic states into peace. A disinterested Congress decided to pay the ransom. In 1786, Thomas Jefferson and John Adams met with Tripoli ‘s ambassador to Great Britain to ask by what right his nation attacked American ships and enslaved American citizens, and why Muslims held so much hostility towards America, a nation with which they had no previous contacts. Despite this stunning admission of premeditated violence on non-Muslim nations, as well as the objections of many notable American leaders, including George Washington, who warned that caving in was both wrong and would only further embolden the enemy, for the following fifteen years, the American government paid the Muslims millions of dollars for the safe passage of American ships or the return of American hostages. The payments in ransom and tribute amounted to over twenty percent of the United States government annual revenues in 1800. Jefferson was disgusted. Shortly after his being sworn in as the third President of the United States in 1801, the Pasha of Tripoli sent him a note demanding the immediate payment of $225,000 plus $25,000 a year for every year forthcoming. That changed everything. Jefferson let the Pasha know, in no uncertain terms, what he could do with his demand. The Pasha responded by cutting down the flagpole at the American consulate and declared war on the United States. Tunis, Morocco, and Algiers immediately followed suit. Jefferson, until now, had been against America raising a naval force for anything beyond coastal defense, but having watched his nation be cowed by Islamic thuggery for long enough, decided that it was finally time to meet force with force. He dispatched a squadron of frigates to the Mediterranean and taught the Muslim of the Barbary Coast a lesson he hoped they would never forget. Congress authorized Jefferson to empower U.S. ships to seize all vessels and goods of the Pasha of Tripoli and to “cause to be done all other acts of precaution or hostility as the state of war would justify”. The war with Tripoli lasted for four more years, and raged up again in 1815. The bravery of the U.S. Marine Corps in these wars led to the line “to the shores of Tripoli” in the Marine Hymn, They would forever be known as “leathernecks” for the leather collars of their uniforms, designed to prevent their heads from being cut off by the Muslim scimitars when boarding enemy ships. Islam, and what its Barbary followers justified doing in the name of their prophet and their god, disturbed Jefferson quite deeply. America had a tradition of religious tolerance, the fact that Jefferson, himself, had co-authored the Virginia Statute for Religious Freedom, but fundamentalist Islam was like no other religion the world had ever seen. A religion based on supremacism, whose holy book not only condoned but mandated violence against unbelievers was unacceptable to him. His greatest fear was that someday this brand of Islam would return and pose an even greater threat to the United States. This should bother every American. That the Islams have brought about women-only classes and swimming times at taxpayer-funded universities and public pools; that Christians, Jews, and Hindus have been banned from serving on juries where Muslim defendants are being judged, Piggy banks and Porky Pig tissue dispensers have been banned from workplaces because they offend Islamist sensibilities. Ice cream has been discontinued at certain Burger King locations because the picture on the wrapper looks similar to the Arabic script for Allah, public schools are pulling pork from their menus, on and on in the newspapers. It’s death by a thousand cuts, or inch-by-inch as some refer to it, and most Americans have no idea that this battle is being waged every day across America. By not fighting back, by allowing groups to obfuscate what is really happening, and not insisting that the Islamists adapt to our own culture, the United States is cutting its own throat with a politically correct knife, and helping to further the Islamists agenda. Sadly, it appears that today’s America would rather be politically correct than victorious. Christopher Hitchens on the Barbary Pirates. A very interesting article. When I mentioned this episode in connection with today’s situation, I was accused of writing “cod” history. It is probably a lost cause but may I make a plea for the proper use of the word “disinterested”. It is not at all the same as “uninterested”. But so many people use to mean uninterested that a rather fine and noble concept has been lost. Sorry to be a nit-picker but I am sure that Jefferson would have used it in its prosper sense.